The 2017 Christian Science Hymnal Supplement will be the largest infusion of new hymns into Christian Science services in over 80 years. What better way to celebrate this music, and the healing messages contained within these hymns, than with fresh performances drawing on the manifold talents of some of our most beloved musicians. Artists: Bill Burden, The Candlewood Singers, Gwen Eagleton, Jay and Tessa Frost, Desiree Goyette, Andrew James, Rebecca Minor, The Newsong Group, Gregory Rahming, Christa Seid-Graham, Susan Booth Mack Snipes, Benjamin Russell Vaughan, Julia Wade. The settings are a mix of traditional and updated settings featuring a variety of instruments including piano, acoustic guitar, electric bass, and cello. Packaged in a digipak with full lyrics included. 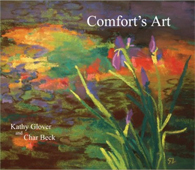 Comfort's Art features vocalists Kathy Glover and Char Beck, whose first album was the popular "Inhabiting Eternity." 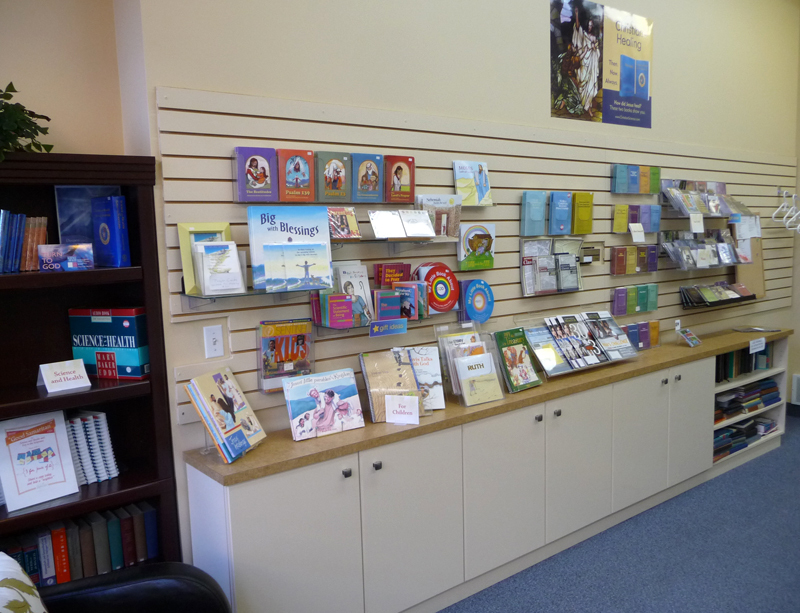 "Comfort's Art" carries twelve tracks of hymns that bring comfort, inspiration, and healing. 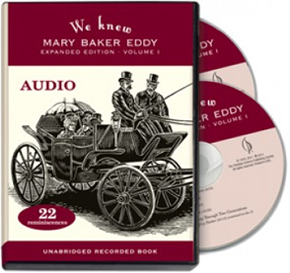 This book weaves together a colorful tapestry of reminiscences by 22 individuals who interacted with Mary Baker Eddy- some for a few days, others for years. Readers will find in these pages a more intimate portrait of Eddy than a typical biography could provide, including glimpses into her daily routines and relationships, a behind-the-scenes look at the Leader of Christian Science, and striking examples of the spiritual strength and personal sacrifice underpinning this remarkable woman's accomplishments. Each voice in this volume is unique, intriguing, and inspiring. The book's primary objective is to shed light on Eddy and her life, but readers will enjoy getting to know the authors as well- interesting and lively figures in their own right. This popular book is now available in a convenient audio format! Covering almost 11 hours, this collection presents audio versions of 45 well-loved articles and poems previously published in either the Christian Science Sentinel or The Christian Science Journal. These uplifting essays about God and His loving relationship with each one of us specifically address current-day needs and concerns such as health, family, business, employment, and more. 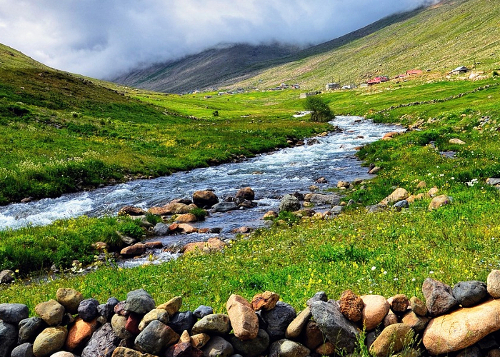 Selected by a group of Christian Science teachers and practitioners as being particularly helpful in the healing practice, these articles will instruct and inspire you in fresh and relevant ways. This 10-disc set is packaged in a convenient and durable recycled plastic box. For the user's convenience the articles are listed on the CDs. 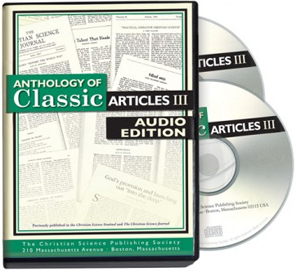 Each of the twelve readers on these recordings are teachers of Christian Science. Perfect for listening to in the car, at home, or through your MP3 player. 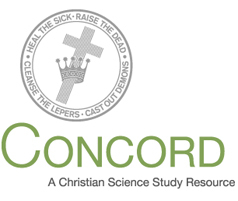 Concord is a study resource that enables you to dig deeper into the essential writings of Christian Science — search words and key passages, read and annotate the books with your own notes, and compile and organize citations within your Notebook. Concord Online is a version of Concord that is with you wherever you have a computer with access to the internet. Keep all of your notes in one place, online, so you can access them at work, at home, or at the reading room. If you need Concord on an airplane or somewhere without an internet connection, you can use the Concord Desktop Edition. Available from your local Christian Science Reading Room by emailing christrr@shaw.ca or purchase online - free 14 day trial. This comforting and inspiring album from the Candlewood Singers is filled with timeless hymns from the Christian Science Hymnal. Songs of Joy is primarily an a capella musical presentation by the Candlewood Singers, which is comprised of three generations of one family that loves making music together. 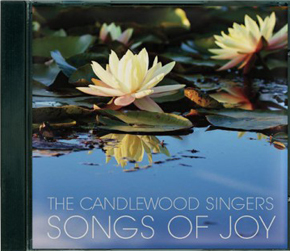 Earlier albums by Candlewood Singers are" Wonders of His Love" and "Let Gladness Ring." 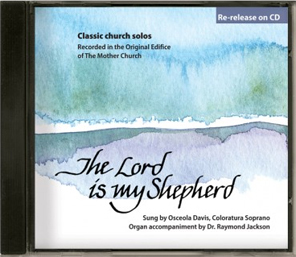 This CD includes ten classic style solos and two organ selections performed by Osceola Davis, former soloist of The Mother Church, and guest organist Dr. Raymond Jackson. Beautifully sung and full of inspiration, the pieces were recorded live in the Original Edifice of The Mother Church, The First Church of Christ, Scientist in Boston, MA. This is a re-release of the 1994 cassette recording. The liner notes include the lyrics. Bryan Ashley plays the Aeolian Skinner organ of The First Church of Christ, Scientist. The title says it all! Hear the majestic sound of one of the world's largest pipe organs. The 14 pieces on this CD are representative of different eras and composers and showcase the innumerable tonal possibilities of this awesome instrument. 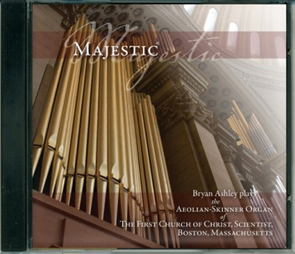 Whether the listener is a connoisseur of organ music, or a novice, this CD is sure to delight. The program is structured as an organ recital, and the recording provides a broader view of composers that are also included on Ashley's previous CD "Glorious" by including works that are quite different in mood or character, yet still exemplify the unique and individual musical language of the composer. The booklet includes an introduction by the organist, program notes, history of the organ, and a listing of organ specifications. 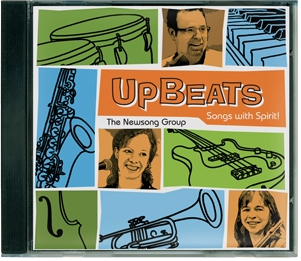 This spirited album from The Newsong Group is toe-tapping, healing, and inspirational. The album has 14 brand new compositions and lyrics that come from the Christian Science Hymnal, as well as four new songs. 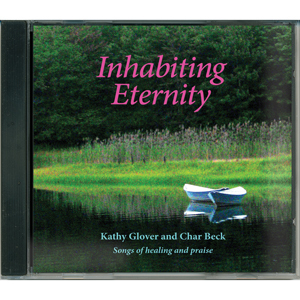 Inhabiting Eternity by Kathy Glover and Char Beck These original songs, solos, and Christian Science hymns convey a tender sense of God's ever-presence and healing love. Listen to audio samples. 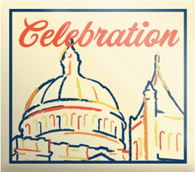 Celebrating 100 years of Christian Science Nursing! Be sung to by two Christian Science nurses! 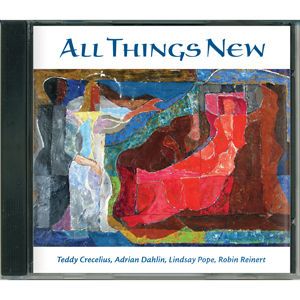 This beautiful 11-track CD includes original songs along with solos and Christian Science hymns with harmonized vocals. Orchestration includes acoustic and bass guitar, cello, flute, keyboards, drums, and percussion. Christian Science nurses Kathy Glover and Char Beck (vocals and guitars) convey a tender sense of God's ever-presence through this beautiful collection of healing music. A cappella voices sing favorite hymns with familiar tunes from the Christian Science Hymnal. An accompanying booklet includes the hymn texts and introduces the four college musicians. Bryan Ashley plays the Aeolian Skinner organ of The First Church of Christ, Scientist. Bryan has been organist at The Mother Church since February 2009. Hear the magnificent sound one of the world's largest pipe organs. The 15 pieces on this CD are representative of different eras (Baroque, Romantic, and Modern) and composers from America, England, France and Germany. The pieces have been selected to showcase the innumerable tonal possibilities of this awesome instrument. In addition, the program is structured with music appropriate for preludes, offertories, and postludes. The booklet includes an introduction by the organist, program notes, history of the organ, and a listing of organ specifications. Run time: 76 minutes. You can download music here.